We will pick you up from your home in Malahide and drop you back too. We will get you driving in and around Malahide so that you are familiar with your home area before taking further challenges. 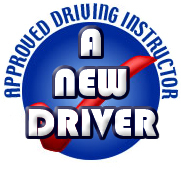 James did all his training in the U.K passing all my exams under the strict scrutiny of the Driving Standards Agency (D.S.A),having obtained the qualification A.D.I. Approved Driving Instructor. James set up his own company in August 2005 and has had no shortage of successful and happy clients from Malahide, who highly recommend him for both lessons and pretests. We can pick a preferred driving route or a route around Malahide.